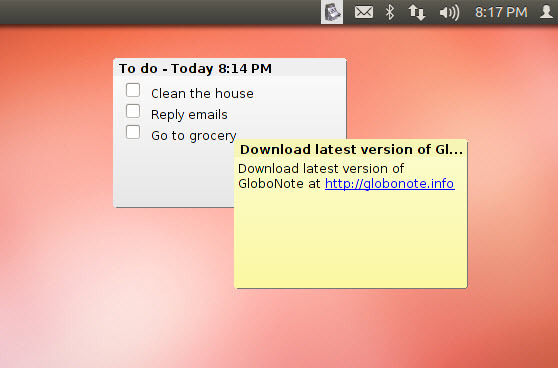 Use as a note manager, sticky notes app to ToDo list manager. Set Alarms/Reminders. Play custom files. Smart checklist creation. Create to-do list by inserting checkboxes. Create link to an app and double click to launch it. Search Notes even when you are typing. Find and replace. Attach files or images. Double click to launch. Auto resize image. Paste image from Clipboard. Take screenshot and paste it to note. 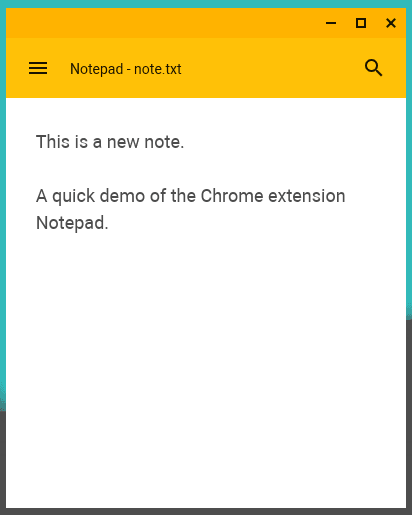 Export note as plain text. Customize the looks of notes. URL Detection with launch in browser. Platform Independent. Runs on Linux, Windows and Mac. As the app is written in JAVA, it is platform independent and installation is trivial if you have JAVA. Being a programmer I need to deal with a lot of text and code all the time. While vim is a great option when working with projects or remotely I don’t really like firing up the console to jot down 4 lines of text or just to open a file. I was looking for a GUI based note-taking app with syntax highlighting and support for some programming languages. Some may point out gvim right now but gvim has quite a few dependencies and I personally like tiny utilities those are snappy. Alas, there’s no Notepad++ for Linux (not without Wine). But wait, here are 4 small applications which are not omnipotent but has polished GUI and do their job very well (and fast). All (except Sublime Text) are available in synaptic on Ubuntu. This will remind you of Notepad on Windows. Tiny app and lightning fast. Has its limitations like no syntax highlighting. This should be your choice if you want to handle plaintext files only. Supports highlighting matching search keywords and has basic settings like showing line numbers, font selection, word wrap etc. Ecellent for quick note-taking. It is the default text editor application in the LXDE desktop environment. Light and fast. You can turn off most of the plugins and context menu options if you want it to be faster. Multiple themes, lot of settings, syntax highlighting, auto-indentation but NO matching keyword highlight option!!! Can be extended through plugins. Has file selector and file browser plugins which may be handy if you work with lot of files at once. Has some in-built color schemes to choose from. It has a few dependencies and starts slower than the others in the list. Provides a distraction free environment by auto-hiding the menu bar but I couldn’t find any way to show it always. Minimal options and you need to set the settings for the file types you use. I think you can hack it by finding the configuration files but anyway it’s not much of a problem when you get accustomed to its behaviour. Has almost all features of a good code editor plus the auto-replace functionality. Commercial but free for personal use. Loads of features, fast and nice look n feel. has all the features you expect from a professional programmer’s editor – excellent syntax highlighting, search highlight. Changing settings is a bit tricky and you have to follow the default settings file to make changes for user specific settings. But that doesn’t affect the charm of this editor once you start using it regularly. Version 3.0 has many more changes over 2.0. You can download it from here. Good news for vi lovers, Sublime Text has a Vintage Mode in which supports using many vi key bindings. In case you want a open-source clone of Sublime Text check out Lime Text. It’s not a text editor per se. It’s a desktop sticky notes application. Tiny and lightweight. You can customize the look and feel to a great extent and leave just the text area n your desktop. Great for taking quick notes or copying text from anywhere. Text is saved across reboots if you add it to startup applications. My personal choice from the above are Sublime Text and Xpad. I use both regularly.